Data acquisition is the process of using sensors and a computer to measure a phenomenon and convert those measurements into digital data that computers can process and display. It is an important element in many industrial and academic settings where measuring the environment to a precise degree is essential to success. 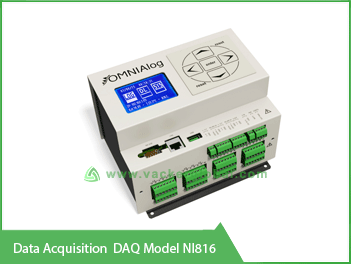 In this post, we will describe data acquisition and data acquisition systems in detail. What is a Data Acquisition System or DAQ? A data acquisition system is a combination of hardware and software that converts an analog data point into a digital one. They are sometimes abbreviated "DAQs" or DASs." Every data acquisition system has three main parts. First, there is the sensor. This records data like speed, decibels of sound, humidity in the air, temperature, or almost anything else. Sensors can be of any shape or size, and the process of data acquisition may involve any number of sensors. The second part of the system is the DAQ unit itself. This is a device that converts the analog signal into a digital one. It connects to the sensor as well as a computer, taking the analog signals from the sensor, converting them to digital signals, and sending the digital signals to the computer for use. The computer is the third and last segment of the system. It receives the digital signals and then makes them available to humans for processing, analysis, cleaning, or any other procedure. The software might create graphs based on the data, for example, or help engineers examine it to ensure that the humidity in a room stays within a certain range. The modern data acquisition system comes with extensive software and a user interface to help their owners carry out a wide range of potential applications. A data acquisition system today looks pretty different from the original systems that came on the scene in the 1960s, but they have changed to keep up with the times and are just as necessary as ever. There are lot of applications for which remote data collection is required. 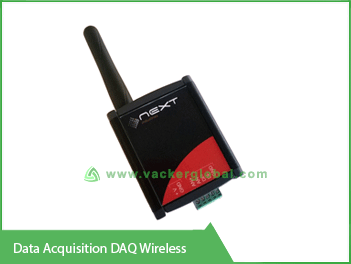 For all such requirements we can use Wireless Data Acquisition using GPRS systems. There will be a SIM card inserted in the DAQ, which will transmit the data at predefined intervals. A GPS integrated system can transmit the details about the location also. Typical applications include railways, remote power stations, telecom tower stations etc. which need to be constantly monitored for critical parameters. 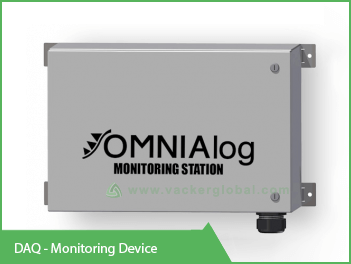 Such systems can also generate alerts including phone call, SMS and email alerts to operators if any of the parameters go out of predefined limits.A wireless DAQ may also be a system which can be connected to a WiFi LAN system so that a wired connection is not required. Hence, we also use a term WiFI DAQ for such a device. Most of our DAQ are having a USB port for easy download of the recorded data. This is especially useful if the system is not connected to an Ethernet LAN for continuous transmission of data. In such case the customer can download the data using a USB flash drive. In certain cases this USB port also can be used as an additional memory to increase the memory capacity. 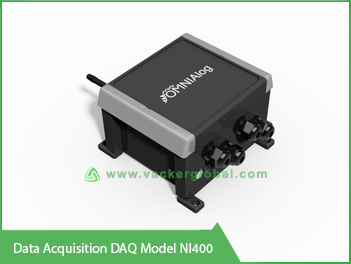 As should be clear from the definition, the potential applications of a data acquisition system are almost unlimited. Scientists need to use DAQs in order to measure natural phenomena and then analyze them. For example, meteorologists use DAQs to track the weather, which lets them predict weather in the future. Product designers use DAQs to determine if a given design meets a particular set of specifications or standards. This is useful for selecting the right design and ensuring that it meets the user's needs before proceeding to wider production. Later on in the process DAQs come in handy for quality assurance, testing to see if the output of a process meets the correct standards and discovering the rate of defects in a production run. When problems arise, DAQs allow engineers to learn what went wrong, how it happened, and how to prevent it from happening again. By gathering data from a broken or defective object engineers can build a model of the failure in their computers and decide on what actions to take to reduce the impact of the flaw at fault, if any action is warranted. DAQs play an important role in maintenance by monitoring important equipment. A data acquisition system can check to see if the environment around important assets is properly controlled and if the assets are performing as they should. The more technical applications include using DAQs for automation of production, so that the production process can keep rolling as long as certain conditions are met. A data acquisition system removes the need for people to oversee key parts of production and the controlling computer can monitor the input from the DAQ's sensors on its own. The increased use of automation in industrial applications is just one of the many changes that DAQs have made possible. For example, consider the automated car. Many tech and auto companies are working on projects that will build and test cars that can drive without human input. These cars depend on top-quality data acquisition systems to observe the driving environment and translate that into instructions for the operating computer. Consider also one of the most important trends in business: big data. Companies are determined to gather as much information about their products and customers as possible so they can fine-tune their marketing efforts and anticipate their audience's needs. Right now, this mostly takes place online, but there is no reason that a data acquisition system cannot play a role in helping companies learn about the best way to design retail stores, the most productive office environments, or the most efficient product design for different kinds of consumers. There are even apps that go back to the roots of data acquisition and turn people into living sensors. Crowd-sourced weather apps ask people to enter the weather conditions in their local area and then provide real-time updates to all app owners, so that users get a hyper-local and up-to-the-minute assessment of the local weather. The conceptual definition of a data acquisition system remains the same, but new technology and new uses for that tech have broadened the scope for what data acquisition means and what data acquisition systems should do. Despite the fact that the concepts are many decades old, data acquisition is still at the forefront of business, industry, and technology. It grows and evolves to meet the needs of the current times just as it always has, and there is no signs of that changing. 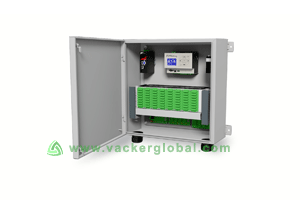 VackerGlobal is providing DAQ systems to all Middle East countries covering United Arab Emirates, Kingdom of Saudi Arabia, Qatar, Oman, Bahrain and Kuwait. Please contact our Dubai office for your requirements.